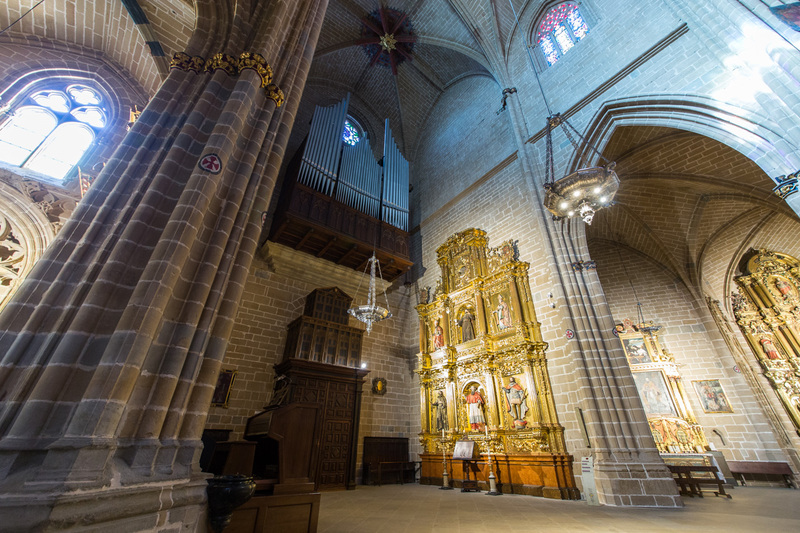 The Cathedral organ was made in 1946 and has around 2700 pipes. On the left wall there are sculptures of St. Ignacio de Loyola and St. Francisco Javier, next to the canvas of the Virgin of the Camino, all 17th century. On the opposite site of the altarpiece of St. Geronimo (1683), headed by this Saint with the images of St. Francisco Javier, St. Fernando, St. Francisco de Assisi, St. Saturnino and St. Fermín.